If you have long been in debt, then you will know all too well the feeling that comes with it. When you are in debt, it can often feel as though you re never going to be able to deal with it in any reasonable way, and it is no hard for it to completely overtake you. However, it is worth trying to manage that feeling and getting to the practicalities of it, as that is the only way of ensuring that you are actually going to be able to deal with it. In this post, we are going to look at some of the major steps you should consider taking if you want to try and get rid of your debt once and for all. As long as you are thinking of the following, you should be in a much better position to be able to deal with your debt head on and hopefully be rid of it for good. Most people will find it difficult to get rid of debt without the help of at least those around them. You might even find that you need the help of much more than that, maybe even professional debt advisors who can tell you exactly what you need to be doing and how. Of course, you might be worrying that you can’t afford such help, but much of the time you can get that kind of advice for free. Getting that help will make things much easier to deal with, and it will mean that you can be free of debt all the sooner as well. Getting good quality financial assistance and debt relief plan can be all you need to be free of your debt for good. In all likelihood, the thinking that got you into debt will need changing if you want to get out of it again. That can be hard to do however, especially as it is so difficult to know what you are doing wrong in the first place. It’s worth taking a look at the nuts and bolts of your own mental approach to money, and seeing if there is anything there which could have helped cause the problem in the first place. Perhaps you buried your head in the sand, for instance, in which case you will know not to do that from now on. 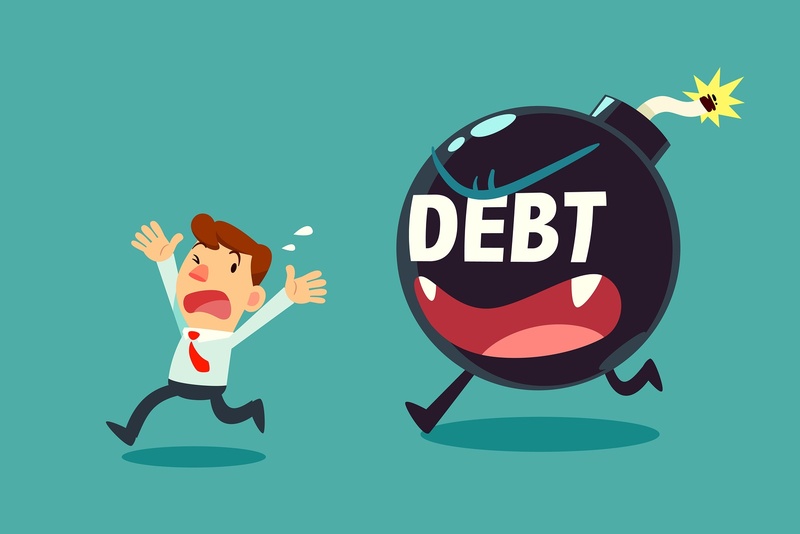 Whatever you might find here, it might be painful, but it is worth examining to ensure that you do not do it again in future and get into deeper and deeper debt. Make sure you keep your head above water as best as you can. Finally, on a practical level remember that if you budget yourself accordingly you will be able to deal with your debit much more effectively. Budgeting yourself will mean that you can have more money to spare in the first place, which will ensure that you can put more towards paying off your debts. It all helps, every penny can go towards your debt, so make sure you are thinking in those terms if you truly want to be free of the debt monster once and for all.